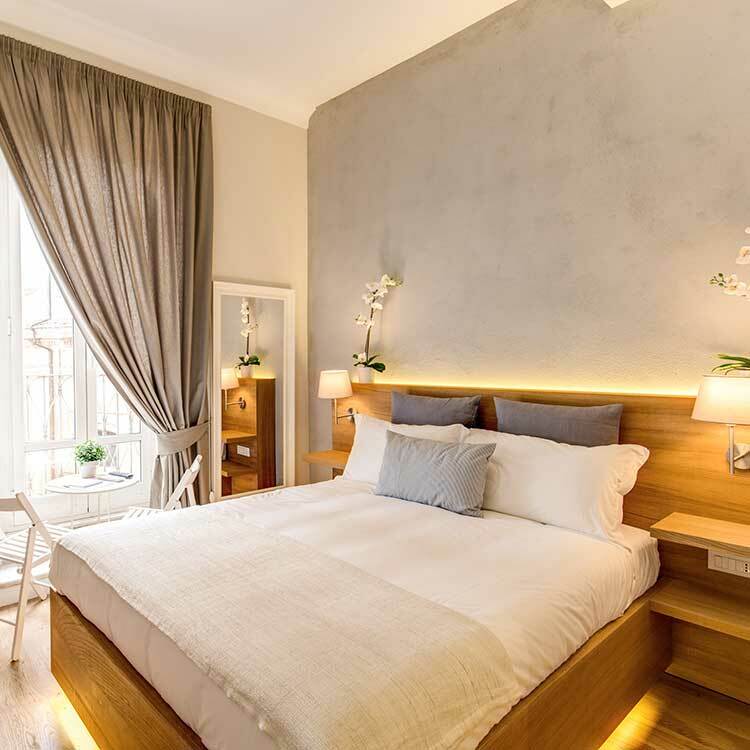 “The Spanish Suite” is composed of some suites that are characterised by a modern and particular design, a guarantee of high quality. It’s situated in a 17th century building. The location is compsed of rooms cleverly furnished and equipped with free Wi-Fi, air conditioning, flat-screen TV, safe, private bathroom with shower. 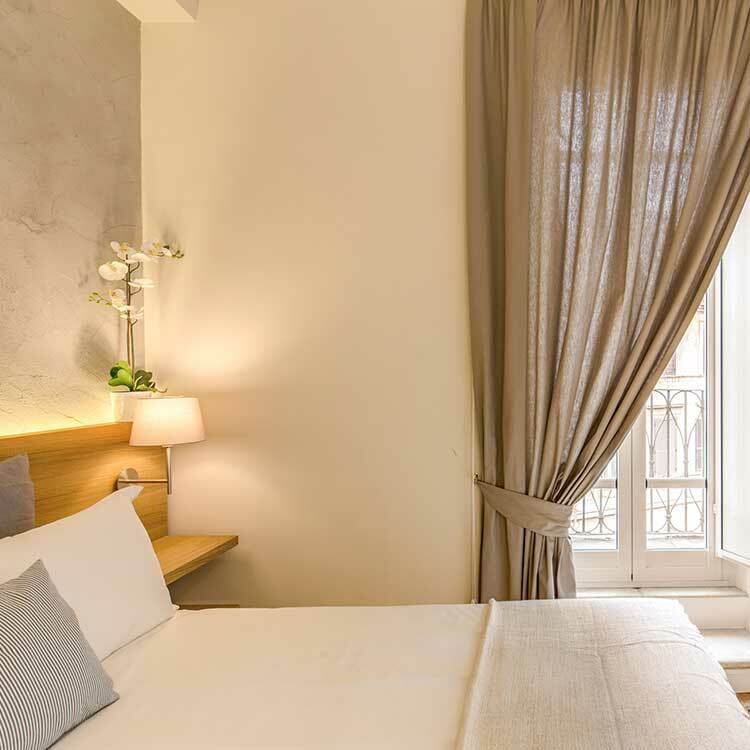 The address is Piazza Benedetto Cairoli 9A, near Campo dei Fiori, that will allow you to reach by walking through the Roman streets, the main points of interest like the Pantheon, the Trevi Fontain, the Villa Borghese, the Colosseum and the Piazza Venezia. The whole location is a non-smoking area, however there is a small and pretty balcony, open for common use by our guests, which it is possible to smoke.